The most common and frequent use dental implants in my practice is for the replacement of a single missing tooth. 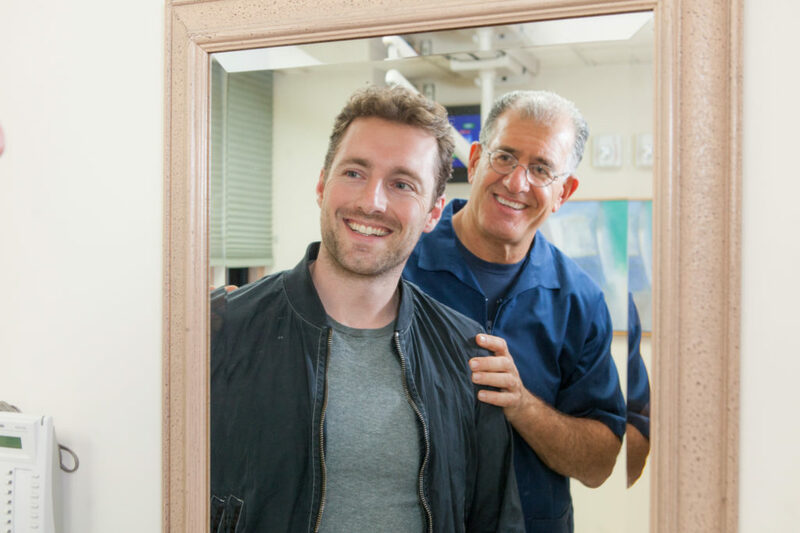 It matters not whether it is a front or back tooth, single tooth implants are the most frequently prescribed treatment to correct one missing tooth. This is a nationwide trend in dentistry. Compared to the conventional three-unit (tooth) bridge procedure that was once the only option for permanent tooth replacement, the implant procedure is simpler, less invasive (more conservative) and often more economical for my patients. Prior to the mainstream emergence of dental implantology, dentists replaced a single missing teeth with permanent/non-removable bridges. In order to place the bridge, it involved grinding down the two adjacent teeth to the edentulous space. Then a three-unit bridge (two crowns supporting the tooth replacement) was cemented into place. While such an approach was successfully accomplished by dentists millions of times, it was not without its pitfalls. The need to involve what may be two perfectly healthy, unblemished teeth to support one single missing tooth increases the risk of recurrent decay around them. In addition, an added risk of porcelain fracture and bridge loosening exists. And the supporting teeth may require future treatment such as root canal, as well. Not to mention that over one’s lifetime, there is an increased likelihood that the bridge will need to be replaced. With the use of an implant, single tooth replacement no longer needs healthy neighboring teeth to be involved. Implants replace the entire missing tooth, root and all, without disturbing the individuality of the teeth in the area. And no longer do we need to join them together with a bridge. In addition, implant to replace one missing tooth is generally less costly than old-style conventional three-tooth bridges. Implantology has changed the nature of dentistry. I am thrilled to offer this service to my patients here in my Manhattan office. My staff and I are passionate about providing you with professional and attentive care. Call my Manhattan dental practice today at 212-685-3040 if you would like to schedule a single tooth replacement consultation.